This week for Say WHAT?! 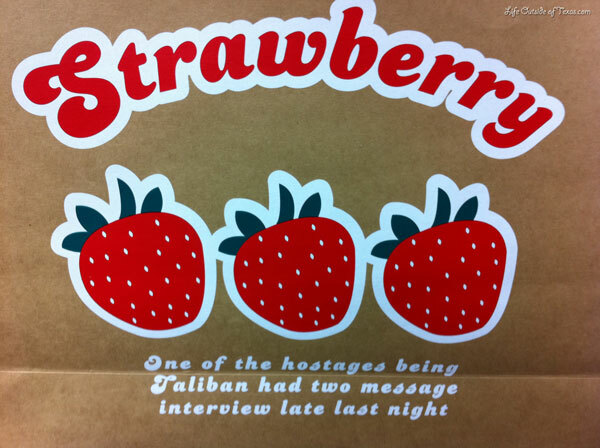 Wednesday, I’m going to reveal why buying this gift bag (found at a stationary supply store in South Korea) could link you to a terrorist organization. Click on the photo for the reveal. I don’t know about you, but this made me Say WHAT?! This entry was posted in Say WHAT?! and tagged Engrish, funny English, Konglish, Korea, Say WHAT? !, South Korea, travel, weird by Meagan & Dave | HappilyEverExpat.com. Bookmark the permalink. Say WHAT?! I read the sentence? about ten times–very slowly–and I still have no clue what it means. haha Me too! It’s so weird! Um… yeah, I have no idea. Thats hilarious!! I love finding things like this when the English translation has gone wrong. That made me laugh and feel dirty inside at the same time. Thanks a lot!